Dating back to humble beginnings, Mahligai Ekspres began their services with just 10 coaches, operating in small towns within Malaysian borders. Today, they have expanded and grown exponentially. 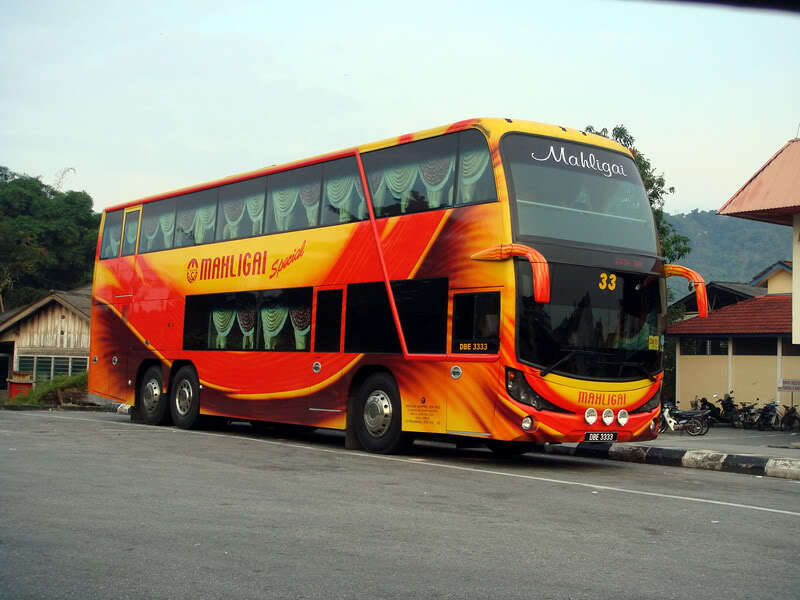 Mahligai Ekspres double-decker buses are fully air-conditioned and comes along with spacious luggage compartments. There are also sufficient legroom provided for passengers and cushions seats that offer a comfortable travel experience. Among the bus routes offered today include from Kuala Lumpur to Kuala Besut. There are also routes provided to Kuala Lumpur, Putrajaya, Jerteh, Kajang , Ipoh and more, all at a reasonable rate. CatchThatBus offers online bus tickets to many routes covered by Mahligai Ekspres as well as seat availability features. You can book your bus ticket online from our website or via mobile app which can be downloaded for free on Google Play or App Store.